Blackjack is a fascinating casino game that is also known as “twenty-one” since the main objective of the game is to get 21 points, ideally with the first two cards that you are dealt. Probably one of the most widely played games around the world, this card game is played by several players and a dealer. An interesting aspect of this banking game is that the players do not play against each other but against the dealer. In the past, the best place to play blackjack was at land-based casinos. Nowadays online gambling sites are attracting more and more gamblers who prefer betting from the comfort of their own homes or on the go thanks to mobile applications. Before you start playing blackjack, and especially if you are new to gambling, you should read this guide on how to play blackjack to get concise information about this captivating casino game. In this article, you will find some basic rules and tips to help you get started. Playing blackjack online is probably the best place to start if you are a total beginner at this game. Why? Most online casino software usually offer guides to help you along the way in the form of help screens that are part of the game. These give you specific information about the particular variant you are playing. Of course, it would be better to find out more about how to play this intricate game before you actually start betting real money. Optimally, you will get 21 points with the first two cards that you are dealt. This is called a “blackjack” or a “natural”. This also means that this is achieved without a dealer blackjack. The second option is to reach a final score that is higher than what the dealer has without going over 21. Finally, let the dealer lose. This means that the dealer continues drawing cards until their hand has exceeded the maximum of 21. Now let us turn to more basic information regarding how to play blackjack. Even if you already are an experienced online player, it is always a good idea to refresh the fundamentals of this card game and you might even find some valuable tips. Learn how much each card is worth. For number cards, the number found on the card is also its value. In the case of face cards (jacks, queens, and kings), they are all worth 10. The “Ace” is trickier. It is generally counted as 11 but can also be worth just 1 if it would put you over 21. Learn your basic options. When it is your turn to play, you can “hit” or get another card until you go over 21. Or you can “stand” so you will not receive any more cards. Play to win. The player who gets closer to 21 than the dealer wins the hand. If the total value of your cards is higher than the dealer’s, than you are “busted” and lose. Of course, the ideal situation is a “blackjack” or the combination of an ace and a card worth 10. The casino always has an advantage, because the players have to act first and the dealer plays the last hand. Please keep in mind that the key to your blackjack success is not to let your emotions get in the way. No matter what strategy you are using, stick to it even though you “feel” another one might suddenly be better. Speaking of blackjack strategies: Testing different strategies is usually the optimal manner to find the one that works best for you. The tactic that is recommended by experienced players is the Blackjack Strategy Card. Memorising a strategy can be faster when you are playing but if you are still in the learning process, then you should use a strategy card. Many of them are available on the Internet and can be downloaded free of charge. Depending on your current score at the blackjack table, this particular card will tell you the moves you should make by taking into account the dealer’s cards. The main advantage is that with online blackjack, you can simply start playing whenever you feel like it. You also avoid all of the hassles linked with going to a brick-and-mortar casino like driving in traffic, finding a parking space, tipping the dealer, dealing with strangers (other players), etc. The centrepiece of many online casinos are blackjack games and some even offer up to 30 different variants. As such, you can enjoy diverse blackjack experiences without having to travel to Vegas. As such, players can pick and choose which variant suits their gambling needs at that moment. In addition, you are given the possibility of selecting a game that will give you a higher edge over the house. A variety of games also means that you can change “tables” whenever you feel like it. At a physical casino, you do not always have the possibility to switch blackjack tables if you get the feeling that your dealer is on a winning streak. There might not be any empty seats at other tables. 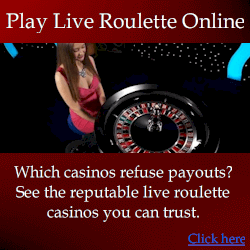 This is not the case when you play at online casinos. You can pick and choose where you want to play by choosing a different game variant or a completely different casino with just a few clicks or taps. Anyone who has been playing blackjack for a while will tell you that it is much easier to win if you use some type of mathematical strategy. The more you play with your system, the better it works. For this reason, online blackjack has a significant advantage over traditional casinos because a lot more hands can be dealt within an hour. A physical dealer will probably deal about 52 hands per hour, whereas a computerized game can deal up to 209 hands within the same time period. Now that you know a little bit more about the basics of playing blackjack, you have to find the right online casino offer. First of all, you should look for a casino that has an impeccable reputation. Unfortunately, the boom of online gambling offers also brought along opportunities for scammers to make easy money. Reputable online casinos have normally been in the business for many years and as such, they have developed a stable customer base by offering competent customer support and a safe environment for online players. Most importantly, the financial transactions are secured and payouts are processed promptly. If you are not sure that the casino of your choice is a serious betting provider, there are plenty of websites that examine casino offers and test them. Another important aspect that denotes a reputable casino is the commitment to responsible gambling. Trustworthy casinos often cooperate with organisations that provide information to help people find out more about gambling and how to recognise gambling problems. Card counting is a well-known strategy of blackjack players at traditional casinos. This gives you a slight edge over the house. But is this even possible at online casinos? Well, the answer is not that simple. In order to cheat at blackjack, two aspects are usually taken into consideration: Deck penetration and shuffling. However, live dealers at online casinos usually shuffle the decks after half of them have been dealt. This makes it more difficult to get a precise card count. Regarding online blackjack games, it is almost impossible to really count the cards since they are electronically dealt and the cards are virtually shuffled so you do not see this yourself. Moreover, the deck is shuffled every time you play, so no chance for deck penetration. Some players rely on electronics to cheat at blackjack or simply to increase their winning chances. Different devices are available such as the Blackjack Beater, the CV Shuffle and there are even apps that can be downloaded for that purpose. Blackjack computers and strategies are also available on the Internet. Nevertheless, true gamblers and players will only rely on their wits and Lady Luck when it comes to playing Blackjack.